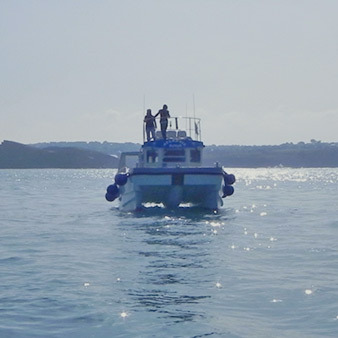 Explore the North Cornwall Coast and see Newquay like you've never seen it - from the sea..
Cruise the Hidden coves and secret beaches and meet the wildlife up close and in their natural environment. Fishing in Newquay off Cornwall's coast is a totally different experience. The semi-tropical climate attracts an amazing array of species and size to make your experience of fishing in Newquay one you won't forget. 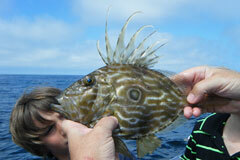 Our Skippers are experts in sustainable line caught fish and marine conservation. Renowned for its 5000 year fishing history and smuggling exploits, the Newquay fishing area is awash with wrecks from all ages and there's no one that knows the best fishing locations like the Skipper of your Newquay Fishing Trip. 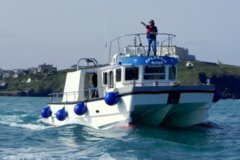 We own and Operate the Biggest and Best Boats from Newquay Harbour. Two, 10m Blyth Catamarans, "Atlantic Diver" and"Atlantic Explorer" both have very large deck areas,proper toilets and large cabins. Both Vessels are available for Commercial Charter, and are currently involved in various contracts at the Wave Hub Site. 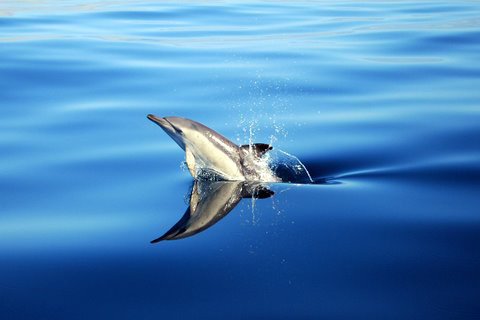 Deep sea fishing in Newquay on board "Atlantic Explorer" and Sea Safari Adventures on board the eco-friendly high-speed catamaran "Atlantic Diver" - our boats are fully designed for the job and fullfil all marine requirements and certification. Chris has been in the Newquay marine business for over 29 years - A true Skipper with a lifetime's experience under his captain's hat and in-depth knowledge of the Cornish sea and coast. Chris has expert knowledge of fishing areas around Newquay and beyond.